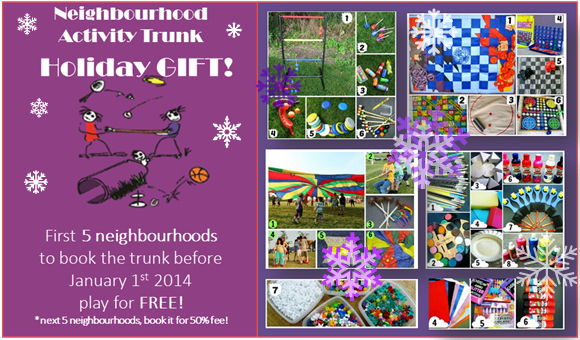 Festival of Neighbourhoods is offering a special Holiday Gift - the first five neighbourhoods to book the trunk before January 1st 2014 will play for FREE! Next five neighbourhoods get a 50% off the booking fee. Our Neighbourhood Activity Trunk has a new look - See the awesome online catalog and book the trunk for you next activity for a reduced fee. Whether you have never touched a computer before or you would like to learn more, we can help! During a personalized coaching session, you will learn new or practice your computer and Internet skills with the hands-on help of one of our ConnectKW team members. Click Read More to see a list of topics and how to register for your own coaching session. See the attached file for the holiday hours for the holiday Hours for Community Information and Resource Centre of Waterloo Region and the Social Planning Council of K-W Offices for the rest of December 2013. Internet & Information Literacy workshops are being offered January – March! Have you ever wondered if you can trust information you find on the Internet? Need information but aren’t sure how to find it? Do you want to tame Internet information overload? If yes, this workshop series is for you. Click read more for the details of the workshops and how to register. Poverty Free Kitchener Waterloo Action-Group has used the Local Framework for Successful Poverty Reduction to address the funding for discretionary benefits, as well as the communication about eligibility of benefits and the need for wider and more inclusive budget consultation process. Watch the archived webcast of the session at the link Council Webcast and read Poverty Free KW submission documents: Local Framework for Poverty Elimination letter and slides. Donations of new and used items such as toys, toiletries and other products can really brighten the day of women, children and families who have limited budgets or who will be spending their holiday season in a shelter or away from home. There are also many toy, clothing and other kinds of drives happening during the holiday season to support charities and non-profit organizations. 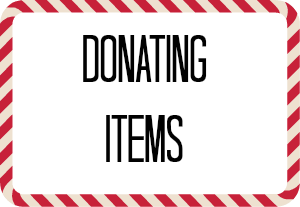 The attached outlines some ideas for donating items during the holiday season. 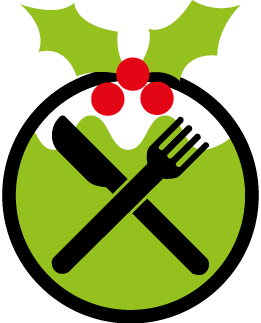 Here is a list of Christmas Meals in Kitchener-Waterloo that are open to anyone in need of a hot meal this holiday season. Thanks to various community groups for this information. 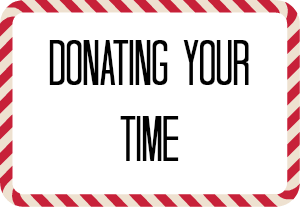 There are many different places to volunteer your time around the holidays to help support holiday events, toy drives, fundraisers, meals and other special events. Many organizations rely on volunteers to help make the holidays a positive experience for the populations that they serve. Download the attached PDF for some ideas of places to volunteer in Waterloo Region and make a difference this holiday season! December 4, 2008, the Ontario government responded to community pressure by announcing its Poverty Reduction Strategy – a five year plan targeted at reducing child poverty in the province. On Let’s make sure that the next strategy has the vision and resources needed to build on the progress made for our children during the past five years to lift all Ontarians out of poverty in the coming five years. Tell your MPP that strong action is required to build on the last strategy to lift everyone out of poverty.